Susan has 28 years of operating, management, and venture capital experience. Prior to co-founding Aligned Partners in 2011, she spent 15 years with ONSET Ventures, an early stage venture capital firm with $1 billion under management located in Menlo Park, California. Susan has specialized in investing in the information technology area, specifically communications and security. As an investor and board member, Susan has played a pivotal role in the development of companies including Securent, Alteon, Gadzoox, SilverTail Systems, Actineon, and many others. 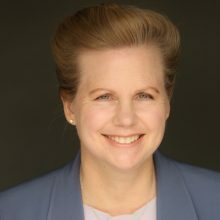 Prior to joining ONSET Ventures as a Kauffman Fellow in 1996, Susan held positions in high-technology engineering, marketing and business development. She led a highly successful consulting practice, helping Fortune 1000 corporations capitalize on emerging markets and technologies. Early in her career, she held positions in marketing and engineering design of high-performance systems and microprocessors for Fujitsu Microelectronics, Fairchild Semiconductor and NCR Microelectronics. Susan received a BS in Electrical Engineering and Computer Science from the University of Colorado and an MBA from the University of California, Los Angeles. She is a regular guest speaker on entrepreneurial topics at Stanford University, UCLA and many local events in Silicon Valley. She is a founding board member of the Center for Venture Education, which operates the Kauffman Fellows Program. She has served as its Chairman for the past four years and continues to serve on the board. She also serves on the board of Sustainable Community Gardens, a non-profit which operates community gardens and an 11-acre farm providing education and delivery of quality fruits and vegetables to low-income children and adults in Sunnyvale, CA.